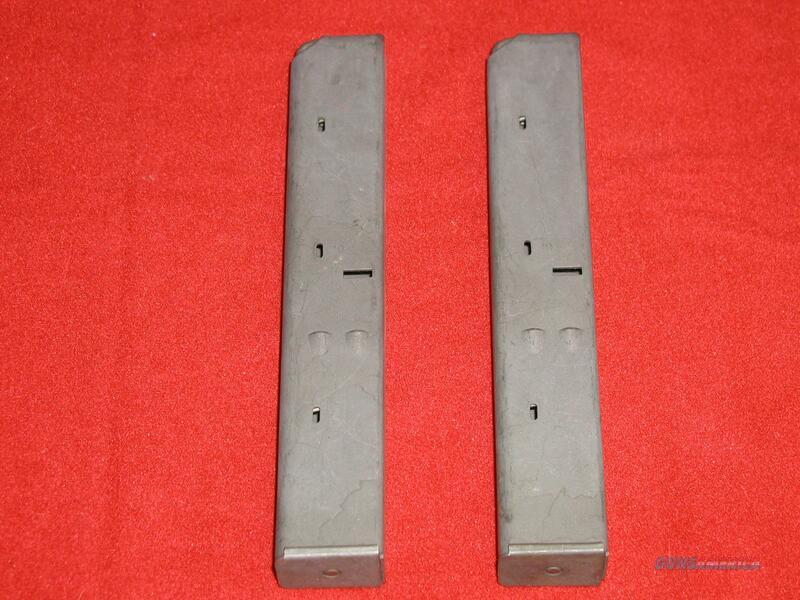 Description: Two (2) UZI magazines, 9mm, 32 Rd, Matt black/gray finish. These magazines are new, never used. Some slight handling marks from being in Uzi case. See photos.